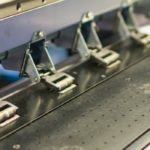 For most companies the ongoing cost of office printing – cost-per-print, routine maintenance, and service – is an unexplored opportunity for significant, cumulative savings. Through our network of certified reseller partners, you can centralise management of all your devices – including single-function and multifunction printers from multiple manufacturers. Take control of your print activities and reduce costs by up to 30%. * It’s simple. Managed Print Services gives you the big picture. With visibility of your whole network, you can control and manage your resources more efficiently. You can scale the Managed Print Services solution for your team, department, or company-wide requirements. With centralised management of your networked print devices you can balance business needs with budget realities. Cut costs on printing consumables, service, and your cost-per-page. Reduce energy consumption through device consolidation. Free up IT resources for more business-critical tasks rather than installing, supporting and maintaining output devices. Ensure devices stay up-to-date through remote maintenance and lifecycle management. Increase uptime with automated meter reads and simplified supply ordering. Control and forecast budgets accurately by setting your printing and supply costs up-front. Visibility into print activity and trends allows you to take control of printing costs. Customise: No matter what networked print devices you have, we have a solution for you. For a comprehensive estimate of your potential savings just ask us for an assessment of your networked print environment. We’ll design a solution optimised for your specific print, copy, scan, and fax requirements. Compare it with your existing situation. We will help you select the solution most advantageous to your business, balancing costs, capabilities, logistics, and labour. Our Managed Print Services solution includes proactive monitoring to fine-tune your print environment over time, and to predict and avert potential equipment downtime. Without Managed Print Services The Managed Print Services Advantage Unknown and uncontrolled print costs Predictable costs Colour toner cost is unpredictable and out of control Fixed cost-per-page Separate process for service and supplies One portal for service and supply status and ordering Excess supplies on hand or not available when you need them Supplies shipped for next day delivery Multiple vendors and suppliers for consumables and service One partner—One solution Unknown print volume Monthly report detailing print activity High print coverage on documents can be costly Costs are unaffected by high print coverage Start saving now. Contact us today to learn more about how our Managed Print Services solution can save you time and money. How flexible is our Managed Print Services solution? Very flexible. We can design a solution for any group of printing devices on your network. Our comprehensive solution supports multivendor of networked printers and multifunction printers – monochrome and colour. How does Managed Print Services improve your print environment? Do you know what the total cost of printing is in your organisation? Do you have the experience and knowledge to control your print costs? Many companies are often unaware of these business expenses. Industry research shows that the costs of total document output can be as much as 6 percent of your total annual revenue. Through managed print services, our customers gain visibility and control of their print spending, helping them free-up budget to focus on key projects that can improve overall business efficiency. 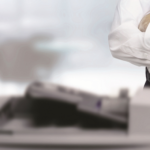 Managed print services are not just for large companies. We have extensive experience delivering cost savings and efficiency for companies of all sizes. As a market-leader in managed print services, we match our expertise to your specific business needs. For more information, please refer to the brochure here and do let us know how we can help you! 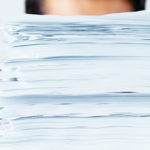 Can a Document Management Solution Improve Workflow?